A comprehensive list of all support agencies in Clatsop County can be found on the Clatsop Community Action (CCA) website. Click on the icon below to access this website. 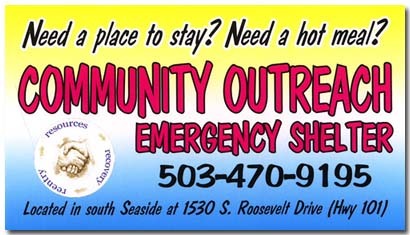 For emergency shelter or a meal contact Community Outreach.